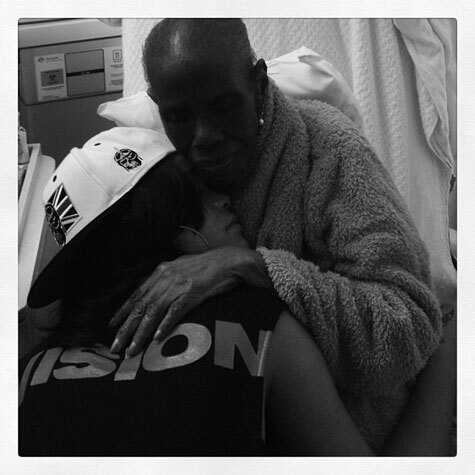 Rihanna took a break from thuggin to visit her grandmother Clara Brathwaite who is in a New York hospital suffering from cancer. The star tweeted that she “‘came to NY, just for this moment right here!’. This entry was posted in Celebs and tagged cancer, Grandaughter, Grandmother, hospital, ill, love, Rihanna, sick. Bookmark the permalink.